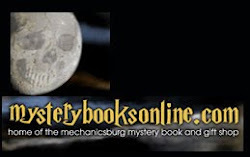 The Susquehanna Writers: Brewing up a special treat for you! Brewing up a special treat for you! October's going to be extra sweet again this year! 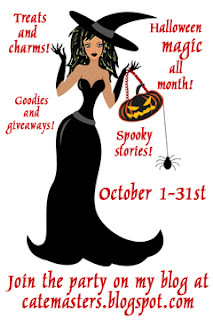 I'm holding my annual Halloween bash on my blog at catemasters.blogspot.com, and you're invited. There'll be plenty of goodies for everyone - tasty recipes, authors sharing chilling tales of spooky moments they can't forget, and best of all, books. Visit every day for new posts. Many authors are offering giveaways, so don't miss out. And if you're an author and would like to participate, I still have a few dates open. Email me at cate.masters AT gmail.com and I'll set you up. withe extraordinarily explosion of maelstrom mellowdramatic? ?